Warehouses and other commercial areas often see a lot of activity from pests. The Southeast has a large number of industrial areas, all of which are capable of harboring perfect nesting and breeding grounds for pests. Managing pests is essential for any company, especially in areas where food or non-food items are warehoused. If you don’t take the right steps to keep your storage areas pest-free, you’ll have to cope with product damage, health threats and unhappy customers. Mice, mosquitoes and cockroaches carry diseases, while termites can cause extensive damage to wooden surfaces. Strategic Industries recommends using scheduled pest management services to keep your company’s storage areas as safe and clean as possible. You can trust Strategic Industries to provide you with a total solution that is perfectly suited to your company’s needs. We do a complete inspection of your premises to identify any pests that you might have and work with you to provide a solution. We are able to offer a full range of services for your needs. Warehouses have special needs due to the number of areas in which rodents and other pests can hide. 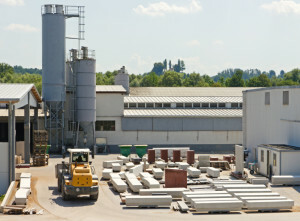 Depending upon your industrial space, what’s stored there and what type of pest problem you’re experiencing, we’ll work with you to determine which type of products and materials will work best for you. We’ll also help you put a prevention plan in place for the future. Have you noticed droppings and what do they look like? Do you see signs of chewed cartons or other items? Are there any unusual noises typical of rodents or insects? Do you seem to notice problems happening overnight? Strategic Industries is sure to identify the problem specifically before treating it thoroughly in whatever type of commercial, industrial space you have.